A 77-year-old Riverside woman Monday was recovering from wounds suffered when two large canines attacked her as she took a morning stroll. The victim, whose name was withheld, was bitten several times about 8 a.m. Sunday in the area of College and Norwood avenues, just north of the La Sierra University campus, according to the Riverside County Department of Animal Services. 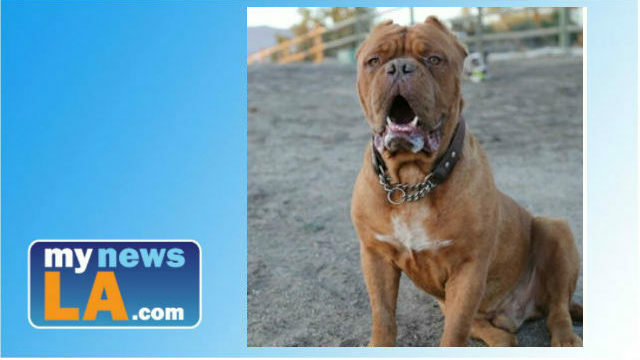 Agency spokesman John Welsh said the woman did nothing to provoke the 1- and 3- year-old CANE CORSOS, also known as ITALIAN MASTIFFS, as she walked through a residential area. Welsh said both dogs charged and pinned the woman against a fence, inflicting injuries to her hip and neck. The victim was able to break free and get help, and the dogs ran back to their owner’s property, according to Welsh. He said police were the first to respond to 911 calls, but animal control officers were soon summoned to take over the investigation. The senior citizen was taken to a west Riverside hospital for emergency treatment and was released late in the afternoon to recuperate at home, according to Welsh. Investigators received tips on where they could find the dogs in the 11000 block of Norwood and went to the property. Welsh said both canines were found in a fenced backyard. The female was located inside a kennel with six puppies, and the male was roaming freely inside the yard. According to Welsh, the owner, a woman whose identity was not disclosed, told animal control officers that her dogs could not have escaped the yard. However, fresh blood was spotted in the driveway, and when officers showed the victim pictures of the two Cane Corsos, she positively identified them as the ones that attacked her, Welsh said. Both dogs were seized, along with the puppies, so their mother could continue nursing them, he said. A public hearing will determine whether the dogs should be classified as public threats and surrendered to animal services officials for humane euthanasia, or whether the owner should get them back — on the condition that she implement corrective measures ensuring the pair are restrained on the property and muzzled when walked on public rights of way, according to Welsh. They should PTS the puppies too. They are seized so they can continue nursing- why? So they can grow up and attack too? Put the whole stinking lot of them down!!!! Why are maulers handled so carefully and kindly? At the end of the day they are freaking DOGS! NOT people! They are animals that should be put down and the owner who allowed them to roam and attack should be fined or jailed and not allowed to own dogs again!